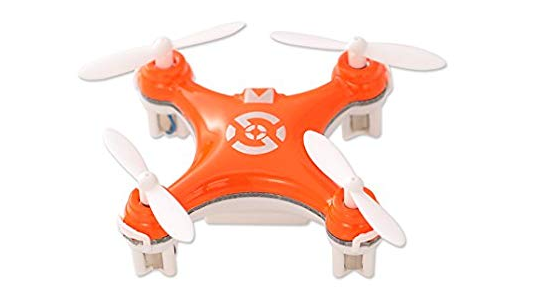 Probably the most funnier drone for kids. The Cheerson RC UFO Quadcopter is surprisingly durable and perfect for first-time drone flier. It can nicely survive monster crashes but keep in mind that your luck may vary. Excluding its circuit board, all parts are replaceable at dirt cheap from China. If you handle it slightly careful, this RC drone is real fun all the time you run out for play. Great nano quad! Flies like a dream, but surely it does take some practice.